Born in France, he began as a guitarist, later switching to the diatonic harmonica, and eventually settling on the chromatic harmonica as his primary instrument. He first began playing the harmonica professionally in Parisian clubs at 17, then started his studies at Sorbonne University, from which he received a master’s degree in music (2011). While still enrolled at the Sorbonne, Prené relocated to New York City and was awarded multiple full-tuition scholarships at The City College of New York, (MICEFA, 2007), Columbia University (Alliance Program, 2008) and at the New School for Jazz and Contemporary Music (Merit-Based Scholarship, 2009) where he had the opportunity to study with Lee Konitz and Reggie Workman among others. In 20011-2012 he earned a BA from The New School for Jazz & Contemporary Music and Master degree from Sorbonne University. He has performed and recorded with a wide range of artists, including Donald Brown, Klingande, Romeo Santos, Peter Bernstein, Scott Tixier, Gene Bertoncini, Rich Perry, Steve Cardenas, Jon Cowherd, Vic Juris,Nate Smith, Ira Coleman, Thomas Enhco, Luques Curtis, Eric Lewis, Justin Brown, Jerome Barde, Lorin Cohen, Mike Moreno, Avi Rothebard, Jared Gold, Anthony Wonsey, Clovis Nicholas, Laurent Cugny, Alexandre Tassel, Dana Hall, Gilad Hekselman, Jon Davis, Krystle Warren, Yaron Herman, Laurent de Wilde, Ryan Cohan, Victor Provost among many others. Yvonnick has played at Blue Note Jazz Club, Smalls Jazz Club at the Iridium Jazz Club, The Jazz Gallery at Birdland (New York jazz club) at Bern Jazz Festival, Festival Emoi du Jazz (Côte d’Ivoire), Lamentin Jazz Festival, Green Mill Cocktail Lounge, at Jazz in Marciac, Hyde Park Jazz Festival (Chicago), Sidedoor Jazz Club, Jazz Gallery, Jazz on Ubaye, Jazz Sur Seine Festival, at Le Duc des Lombards. 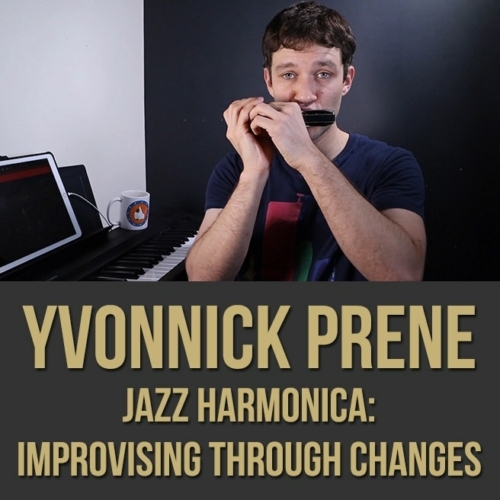 Yvonnick is the founder of New York Harmonica School, Harmonica Studio, author of 13 books and bandleader of The Yvonnick Prene Quartet and Padam Swing. He is currently based in Manhattan, New York City.